Rapid Camp® Wireless Control System and much more! 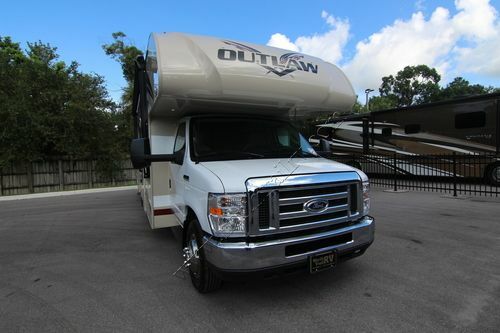 This is a partial list of 2018 Thor Outlaw Class C gas toy hauler motorhome features and options. For a complete and exact list of standard features and options please call us and ask to speak to a North Trail RV Motorhome Sales Consultant. North Trail RV Center is not responsible for any errors or omissions listed here. 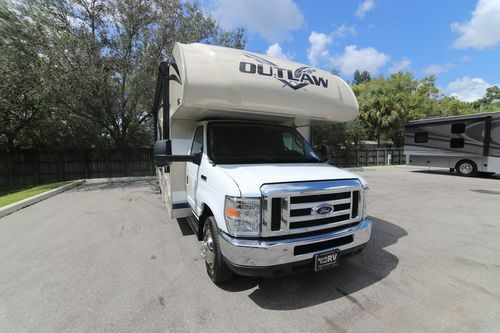 The following floor plans are available for the 2018 Thor Class C gas toy hauler motorhome 29H and 29J.